Many students live on a tight budget and find it hard to spend money on things that they might not ever need, like rental insurance. While it is true that rental insurance may not be something you can see and touch, like food or clothing, or know that you use everyday, like heat or electricity, it may be the only thing that stands between you and poverty if you run into unfortunate circumstances. When you look into rental insurance be sure you understand the type of contents cover you will be given, if you require more cover for particular valuables, and if your cover extends to any items while they are outside of your home. Some contents cover has enhanced coverage for particular valuables in your possession. This means that you may be able to insure specific items to a higher threshold than you can the rest of your contents, for the same or perhaps a slightly higher rate. This is important for items which you could not afford to replace without insurance reimbursement, including jewellery (for example, an engagement ring), cameras (video or professional equipment), home entertainment equipment (televisions, recorders, consoles, etc) and artwork. Some insurers may require that you get an item appraised prior to them covering it, which means a qualified expert must determine the worth of the item before the insurer will agree to your rate and reimbursement possibilities. 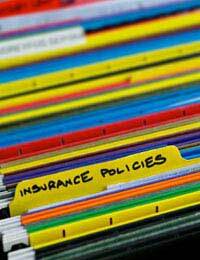 Many contents cover policies even cover your valuables when they are not in your home. This means you’ll be able to take a more expensive handbag, mp3 player or digital camera out with you and not worry about it being stolen or destroyed. If your contents cover encompasses such a situation you’ll be able to put in a claim, be reimbursed and purchase a replacement with few monetary worries. Some policies will even cover items such as groceries which are rendered inedible due to the bag splitting while you are transporting them home. Finding out more about what will be covered when it is outside of your home is a good idea prior to purchasing contents cover so that your busy lifestyle isn’t slowed down by accidents or damage to your property.